What is the Assembly of First Nations? The Assembly of First Nations held its first assembly of Chiefs in Penticton, B.C., in April 1982. The Charter of the Assembly of First Nations was then adopted in 1985. AFN is the national advocacy organization representing First Nation citizens in Canada, which includes more than 900,000 people living in 634 First Nation communities and in cities and towns across the country. Who are the First Nations? The First Nations are the Indigenous Peoples of Canada who live predominantly south of the Arctic. This term applies to status and non-status Indigenous Peoples and can also refer to bands or nations (for example, “First Nations people in the Lake Superior region” and “the Curve Lake First Nation”). The term does not include Inuit or Métis. How long have First Nations been in Canada? First Nations peoples have been in North America tens of thousands of years, but there are indications that they settled and established trade routes across what is now Canada by 1000 BC. As both permanent and seasonal communities became established, diverse and sophisticated cultures, customs, languages and characters also emerged from coast to coast to coast. What is a First Nations band? A band is a group of First Nation people for whom land has been set apart and for whom money is held in trust by the Crown. Each band has its own governing Band Council, usually consisting of one or more chiefs, and several councillors who are either elected or chosen through traditional custom. A band (also referred to as a First Nation) is also the basic unit of government for those who are subject to the Indian Act. There are currently 634 recognized bands in Canada. First Nations bands are also known as First Nations communities. What is a Band Council? A Band Council is the governing body of a band set up under the requirements of the federal Indian Act. Each First Nation is typically represented by a Band Council chaired by an elected chief, and sometimes also a hereditary chief. Chiefs and councils are colonial structures that were imposed on First Nations and are not the same as traditional governance structures. Councils are elected for two- or three-year terms (under the Indian Act or band custom) to carry out First Nation business, which may include education; water, sewer and fire services; bylaws; community buildings, schools and roads; and other community businesses and services. What is the Indian Act? The Indian Act, first introduced in 1876, is the principal statute through which the federal government administers local First Nations governments and manages reserve land. It outlines governmental obligations to First Nations peoples and determines “status” — a legal recognition of a person’s First Nations heritage, which affords certain rights such as the right to live on reserve land. It remains the primary document defining how the federal government interacts with the First Nations in Canada and their members. What is a Status Indian? An individual recognized by the federal government as being registered under the Indian Act is referred to as a Status Indian. They are entitled to programs and services offered to First Nations individuals by federal agencies and provincial governments. 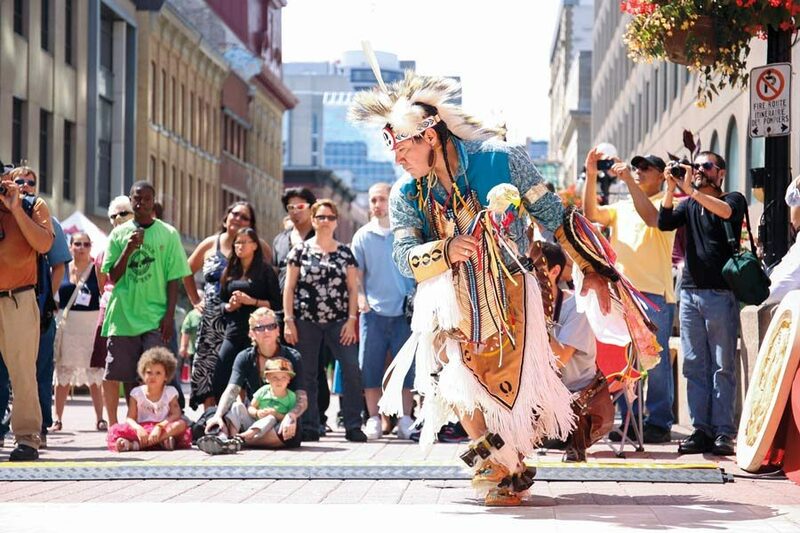 Dancer Alan Harrington, from Iskatewizaagegan #39 Independent First Nation, performs in Ottawa. A reserve is land set apart and designated for the use and occupancy of members of a First Nation. Reserves should not be confused with land claims areas, which involve all of that First Nation’s traditional lands — a much larger territory than reserve land. How many reserves are there in Canada? There are 3,100 reserves across Canada. Land claims are divided into two broad categories: comprehensive (known as modern treaties) and specific, which are claims based on pre-existing treaties or agreements. Comprehensive claims are based on the traditional use and occupancy of land by First Nations, Métis and Inuit who did not sign treaties. Specific claims are filed by First Nations who claim that the federal government did not fulfill its obligations either under historic treaties or the Indian Act. Types of specific claims include the inadequate allocation of reserve land, the failure to protect reserve land from unlawful disposition or lease, fraud on the part of government employees, and the misadministration of First Nations’ funds and other assets. Specific claims are settled by negotiation or by court action, and settlements can consist of monetary compensation or land. What is the Declaration of First Nations? The Creator gave us our spiritual beliefs, our languages, our culture and a place on Mother Earth which provided us with all our needs. We have maintained our Freedom, our Languages and our Traditions from time immemorial.